Transit officials are going door to door this week warning residents who live along the 10-mile BART extension to Milpitas and Berryessa not to touch the tracks, now that lethal amounts of electricity are set to course through them. 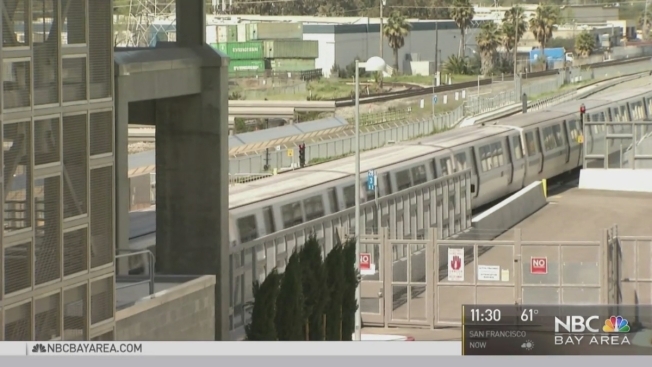 Trespassing on the tracks has not been a major problem, but officials have launched an advisory campaign through mail, email, social media and radio in addition to knocking on doors, Santa Clara Valley Transportation Authority spokeswoman Stacey Hendler Ross said. "Even though we have fences and warning signs protecting the whole corridor, we're taking every precaution," Ross said. VTA workers spent three and a half hours knocking on dozens of doors in the Berryessa neighborhood Friday, starting at Hostetter Road and Silvertree Drive. The door-to-door campaign is set to continue on Saturday, Ross said. Outreach workers are also distributing printed warnings to residents in English, Spanish, Vietnamese, Chinese, Hindi and Tagalog. "Santa Clara County has never had a ground-based, electrified track before," Ross said, explaining that South Bay residents who may have safely stepped across Caltrain and VTA light-rail tracks in the past could underestimate the danger of an electrified third rail. The traction power network will carry 1,000 volts of direct current to the contact rails. Contact with just 42 volts can be lethal, Ross said. "You can't see the current, you can't smell the current, but if you touch the current, it will be too late," VTA's BART project manager John Engstrom said in a statement. The tracks run parallel to, and in between, Interstate Highway 680 and Interstate Highway 880 from Warm Springs in Fremont through Milpitas to Berryessa in North San Jose. Intermittent system testing and electrification started in September. Now that the 2018 deadline of opening the Milpitas and Berryessa stations to commuters looms closer, the tracks have been fully electrified. "Now that we are in the system testing phase, the site becomes extremely dangerous," Engstrom said. "Every person in the public needs to understand that the BART right of way is not a shortcut. It is not accessible for a reason: for people's protection."